I am quite sure that many of us can still remember Steven Spielberg’s movie “Jaws” when it was first released, and boy did that movie scare many people when it came to swimming in the sea. Basically, the ratio of men killing sharks are way off the charts in comparison to sharks killing humans, but that fear of the Great White has yet to diminish. Well, this festive season, why not go a little bit crazy with the £6.99 3D Ice Shark? Forget about the Great White Shark, give your guests the Great Ice Shark this time around! 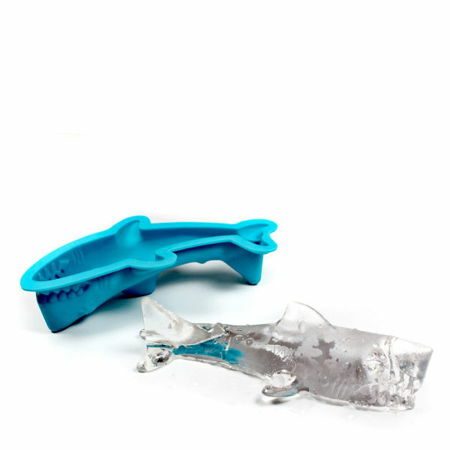 The 3D Ice Shark is made out of durable silicone, where the tray itself is capable of making one large shark-shaped ice cube that has been specially designed to remain upright in your drink, making it look as though it is going to leap out of the water at any moment.